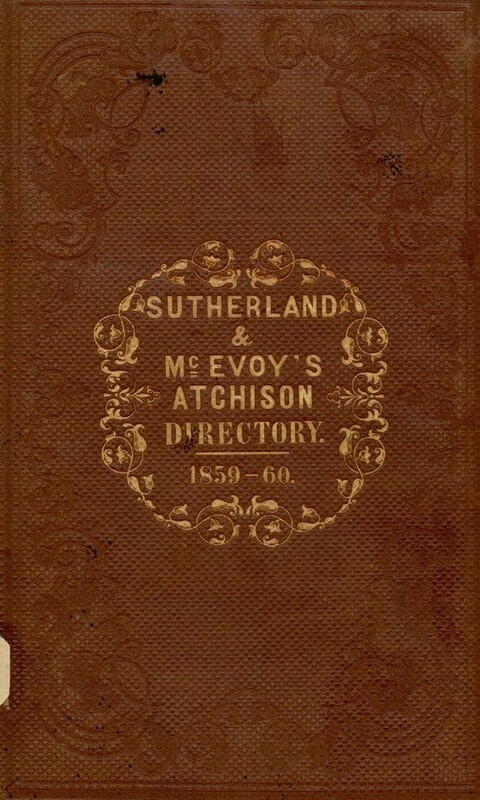 This was the first city directory published for Atchison, Kansas. In addition to advertisements, a street directory, and information about various civic institutions in Atchison, it also contained an historical sketch of the city written by Dr. J. H. Stringfellow, one of Atchison's "earliest pioneers." Some women are listed in the directory if they operated a business such as a boarding house, if they had a job, or, apparently, if they were widowed or unmarried. The "business mirror" section listed individual businesses grouped by the type of business or profession. The appendix included a listing of city and county officials.